The Ministry of Industry and Trade (MoIT) launched a US$158 million energy project to help key industries and enterprises to save energy, at a workshop in Hanoi on March 5. 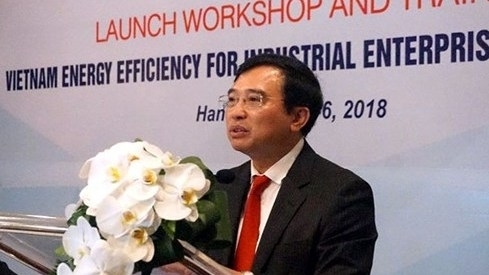 The “Vietnam Energy Efficiency for Industrial Enterprises” project (VEEIE) aims to promote efficient energy use and contribute to the country’s overall goals of energy efficiency and conservation, according to Deputy Minister of Industry and Trade Hoang Quoc Vuong. The project, which was established by the World Bank (WB) and MoIT on December 29, 2017, and will last until July 2022, has a total budget of US$158 million with two-thirds of the fund financed by the WB’s International Bank for Reconstruction and Development and the rest being provided by the Vietnamese Government. 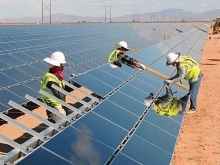 The financing provided by the WB includes two components – US$100 million will be spent on developing energy-saving projects for key industries and US$1.7 million will be spent on technical assistance for those projects. The Department of Energy Saving & Sustainable Development, under the MoIT, proposed that the Government increases budget spending for energy saving projects in the period 2018-20. According to the MoIT agency, the national target programme on energy efficiency and utilisation in 2011-15 has saved 5.96 percent of the total energy consumption, equivalent to saving over 11.8 million tonnes of oil.